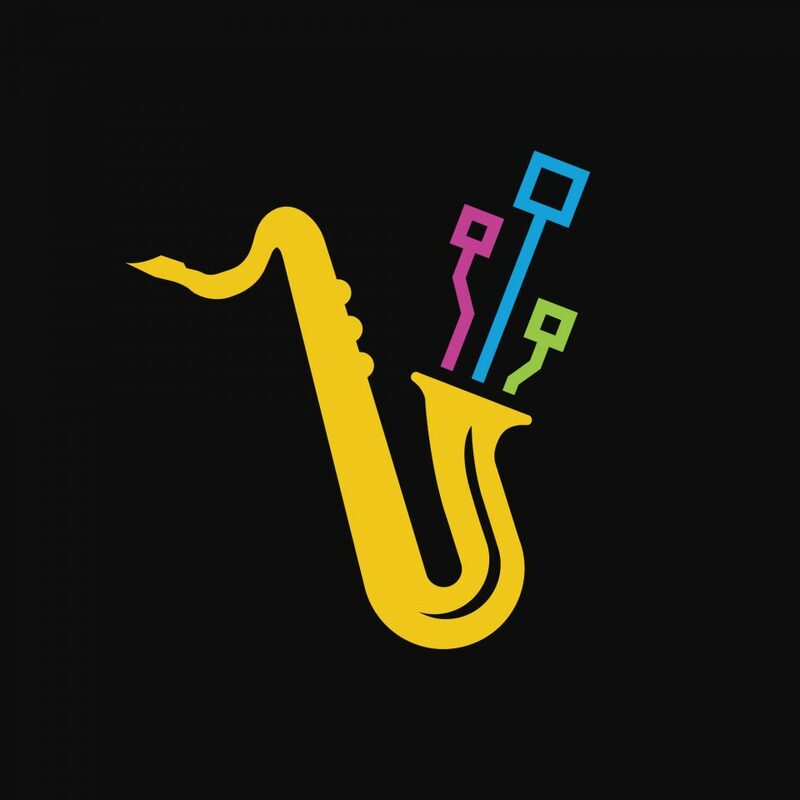 The client wanted his logo to reflect that he spends his days writing software as a freelance developer, but often gigs playing the saxophone on evenings and weekends. I drew a simple, stylised saxophone and used some “circuit board” graphics in the place of music notes. A special hidden element is that the three circuits actually represent the client and his two small children. The colours were carefully selected to work on both white and black backgrounds without being too shocking. I worked with the client through the design process on the basic imagery as well as colour combinations and spacing of elements to get the logo to a pixel-perfect state.